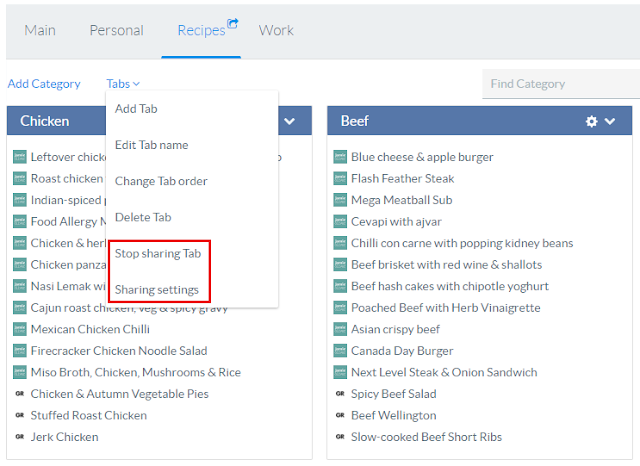 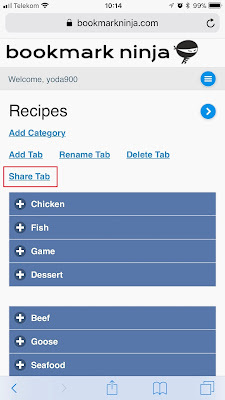 From now you can make any of your tabs public and share them with your friends and coworkers. 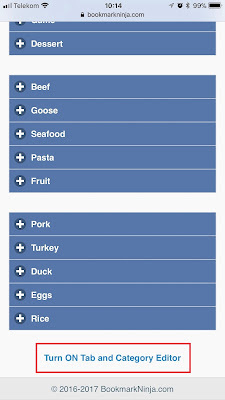 You can even make web directories from your favorite links. 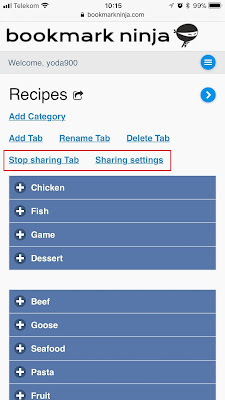 Making a tab public means anyone (even if somebody doesn't have a Bookmark Ninja account) can access the shared tab with a link. 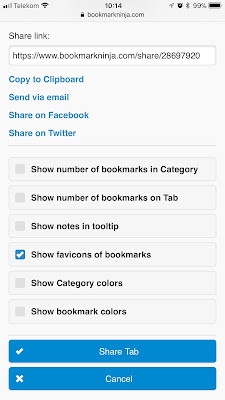 The link has a format like this: "bookmarkninja.com/share/123456". 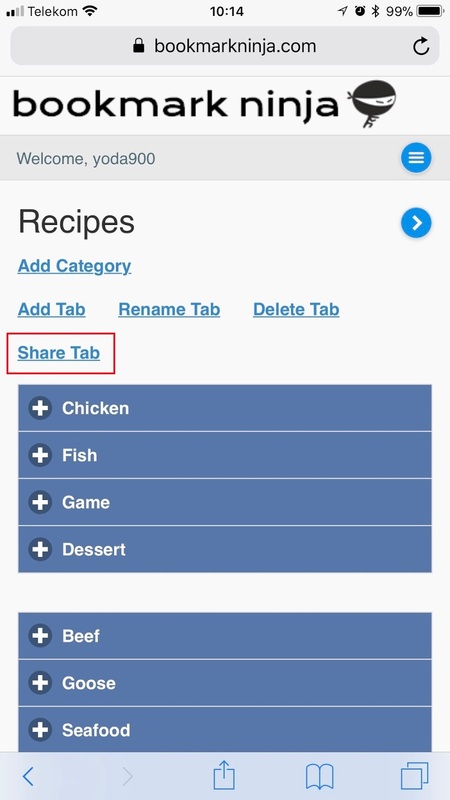 The shared tab is read-only. (2) Select the Tab you want to share. 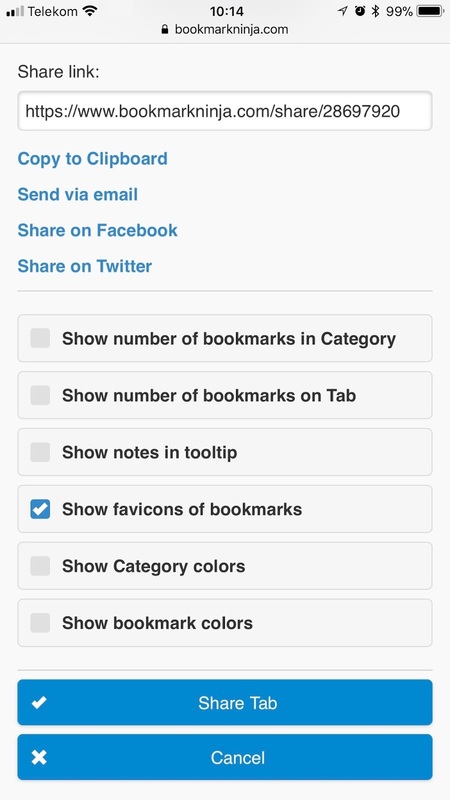 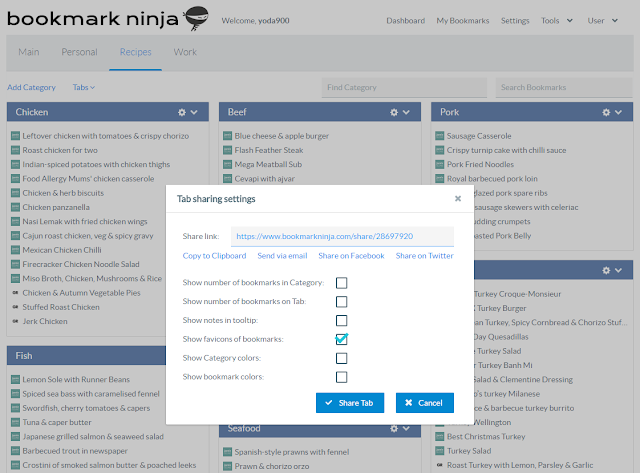 (4) Check or clear the options to customize the appearance of the shared Tab. (5) Select the corresponding commands to copy the share link to the Clipboard, send it via email or share it on Facebook or Twitter.